With the improvements in Apple iOS 7 operating system, most Apple users are prepared to update. Preparation for this upgrade comes in three basic parts: minimize your potential for loss, maximize your opportunity for success, and the carry out the act of upgrading itself. The following will guide you how to minimize your potential for loss, which means you need to backup your red iPhone 7Plus/7/SE/6plus/6/5/4S/4 before installing iOS 10.3/9.3/9/8/7. You iPhone gets backed up to one of two places: iTunes on your computer or iCloud in the cloud. Here is how to manually create a backup on whichever one you use. You can also refer to it while uising iPhone 5S and 5C. Step 1. Connect your red iPhone 7/6S/6/5S/5C/5/4S/4 to your computer via USB sync cable. Step 2. By default, this will launch iTunes and start the sync process, which includes making a backup. However, if your iPhone isn't set to autosync, continue on to the next step. Step 3. Click the Summary button for your iPhone. 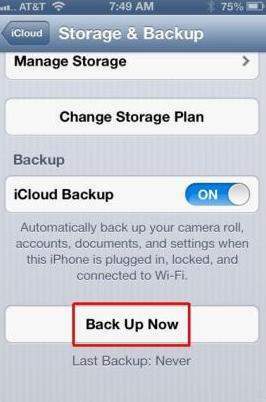 Then, in the Backup section, click the Back Up Now button. Note: It's highly recommended to choose a password to unlocke iPhone backup file since you can prevent other malicious person from accessing it. 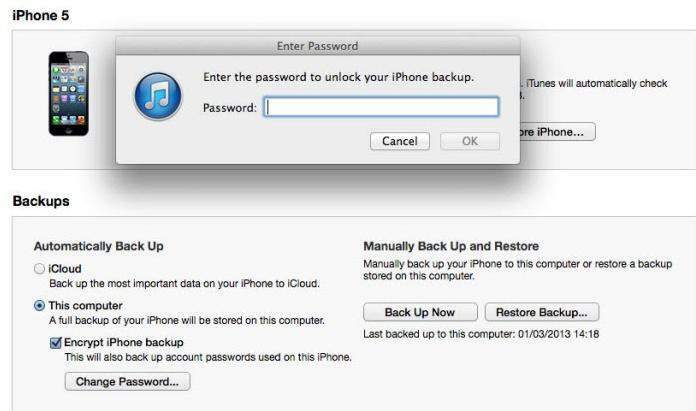 Just click the box next to "Encrypt iPhone backup" before Step 3. 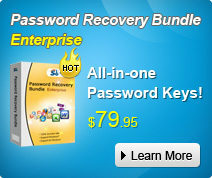 Thus you must enter the password to restore iPhone backup after updating iOS 7. Step 1. Make sure your iPhone 5S/5C/5/4S/4 is connected to a Wi-Fi network. Step 2. Tap the settings icon, then tap iCloud. Step 3. Tap Storage & Backup, then Back Up Now. Again, this might happen quickly, or it could take a while. That's all for how to backup iPhone before updating iOS 7. After that, you can go forth and install iOS 7. Even if something goes wrong during the process of updating iOS 7, you can restore your iPhone to its previous.